We have a simple process, we call it the A-B-C process. 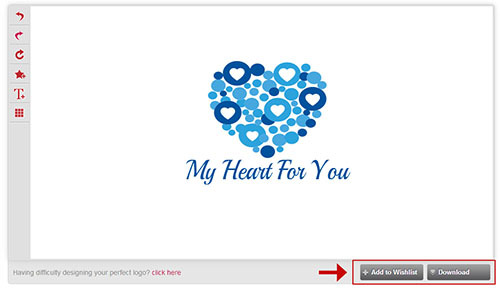 Type in your company name and click, “Show my designs for free”. 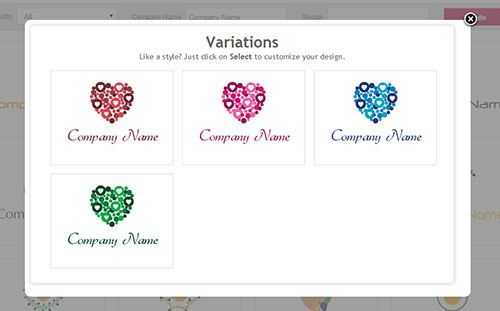 You will be taken to our gallery where you can browse and choose from tons of symbols to be customized for your company. You can make it even more customized by choosing your specific industry type from the drop-down menu, add your slogan/tagline, and click ‘Update’ to see even more specific logo designs relevant to your company. You can even search our logo gallery by typing in specific keywords like “globe”, “green tree”, or “house with windows” symbols for your logo. See a logo you like? Click on it and see variations of color. Choose the one you prefer and start customizing using our DIY tool. It’s so simple your grandmother could do it! The tool allows you to rotate the design, the text and resize the image. You can even change colors and font style and all through the click of your mouse. Ready with your masterpiece or not quite sure? You have the choice of adding the design to your ‘wish list’ or just download. Create your account with us for FREE. You can design numerous logos and when you are ready to finalize, ‘checkout’. The design will be available in PDF, JPEG and PNG file formats for download. If you like your logo design, you can buy it for just $37. That’s it. 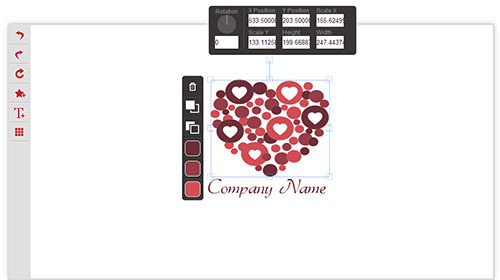 In 10 minutes or less with DesignMantic’s ABC process you can design a logo yourself. Start designing your logo now.